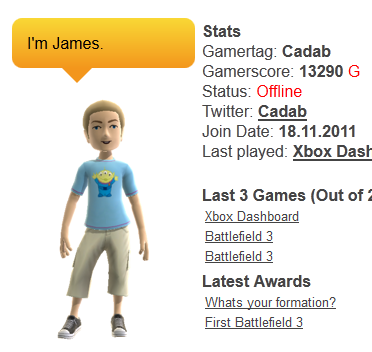 So decided id do a little more work with the Xbox API. There is stacks of user information available on there and you just need to go through and takes the bits you need. We have not started logging mottos and locations aswell as user bios just so we can customise xBonx to your personal needs. You can see some of the new features modelled on @Cadab’s page.